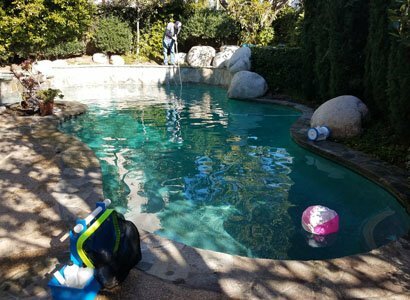 With this Carmel Valley pool cleaning service customer, we started with a pool full of green and yellow algae. The storms we experienced during the winter of 2016/17 caused excessive leaves and debris to block flow and clog the pool filter. Cleaning the pool algae consisted of multiple pool cleaning visits, correcting the water chemistry and multiple pool filter cleans. Once this was completed, we were able to start complete, weekly pool service for this Carmel Valley homeowner. If you are having a pool algae problem, be sure that you take the proper steps to resolve. There are many varieties of pool algae and many different specific treatments required to resolve completely. Complete weekly pool cleaning services are just that. Weekly we come out to clean your swimming pool following specific steps to ensure the pool is clean upon leaving. To ensure our weekly pool service stop is completed, we follow the following steps explained below. Checking pool water chemistry consists of chlorine, pH, alkalinity including conditioner levels, phosphates, and salt if applicable. Doing this ensures the water is safe for family and friends along with protecting the surfaces and pool equipment. 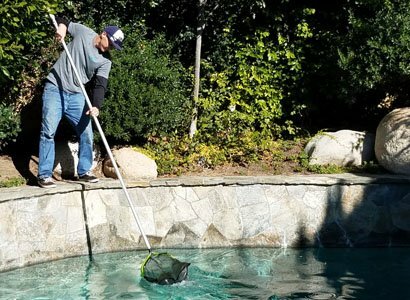 When starting the pool cleaning process, we always want to first remove all large dirt and debris from the surface. Doing this ensures that any dirt and debris doesn’t get into solution (floating in the middle). If that happens, it is much more difficult to thoroughly clean the swimming pool. Cleaning the pool tile during weekly pool service in Carmel Valley does not remove the white buildup, unfortunately. It does help prevent additional discoloration and staining. Calcium removal is a different service and when cleaning your pool tile, we are using a specific pool tile soap. 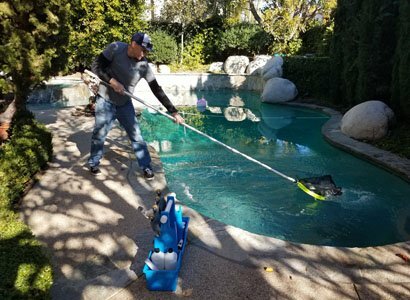 If there is a pool vacuum in the pool, we will use the connection to complete the pool cleaning. 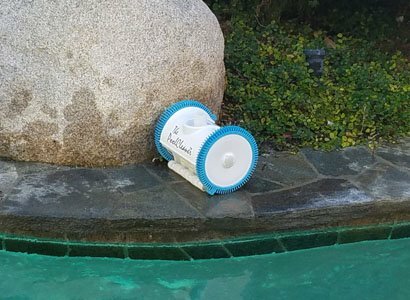 Without a vacuum in the swimming pool, we use our own hose connected to the skimmer. 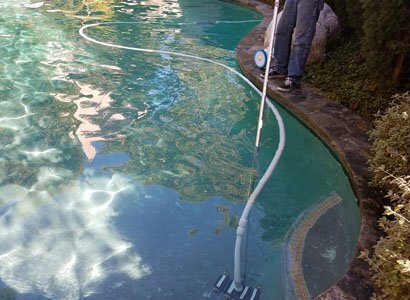 Every pool service customer should have the pool cleaned weekly and thoroughly by vacuuming the pool and spa surface. 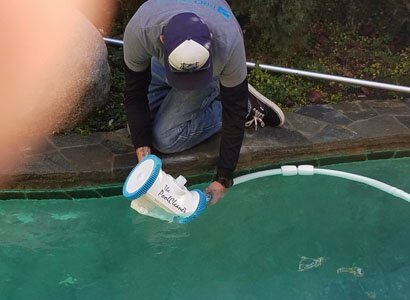 Weekly Carmel Valley Pool service includes removing and emptying the skimmer and pool pump baskets. Along with that, we perform a check that your pool equipment is operating properly. If we see pool equipment repair concerns, we send information on what is wrong and needed to repair. This Carmel Valley pool service customer along with all of our customers are important to our company. This is why we make sure to do the best pool cleaning service possible each and every week. Having trouble doing the pool service yourself or unhappy with current pool cleaning company? If so, we provide a FREE pre-site including a water analysis and evaluation of surroundings and pool equipment.